Today Antivirus Bulletin announced that Avast Antivirus was awarded the number one slot in its antivirus testing and analysis review awards, beating out other well known brands. This is the first time such an award has been given out by AV Bulletin, a recently launched online security protection site. We're excited to honor Avast with our first antivirus software award. The software is very effective, easy to use, and it doesn't bog down your computer like other antivirus tools we tested. Today Antivirus Bulletin announced that Avast Antivirus was awarded the number one slot in its antivirus testing and analysis review awards, beating out other well known brands. This is the first time such an award has been given out by AV Bulletin, a recently launched online security protection site. Antivirus Bulletin is a new site that aims to keep both consumers and businesses owners notified and protected against the ever increasing onslaught of viruses and other malware. "We're excited to honor Avast with our first antivirus software award," said Chad Neth, one of the AntivirusBulletin.com founders. "The software is very effective, easy to use, and it doesn't bog down your computer like other antivirus tools we tested." As online security threats have increased, Avast has managed to keep up with the pace. 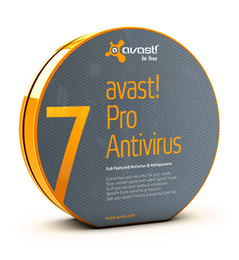 Avast's most recent offering, Internet Security 7, is the company's flagship product that claims to cover all the bases (including antivirus, anit-spyware, antispam and firewall) for maximum protection. With new Hybrid cloud technologies, remote assistance capabilities, zero-day threat protection with streaming capabilities and the all new SafeZone for banking and shopping protection, users can now forget about ever being vulnerable while browsing the internet. The new Avast version is designed to protect regular consumers as well as business users, offering the latter web based management and Exchange & Sharepoint server support to effectively protect businesses of any kind. With new and increasingly sophisticated dangers lurking online, consumers are realizing that it's time to reconsider what good antivirus software really is. Gone are the days of simple email screening and “bad site” databases. Today’s environment requires that antivirus software utilize advanced heuristic signatures and refined algorithms to detect viruses and other malware. Avast seems to have heard the consumer call for robust protection in this global cyber battle. 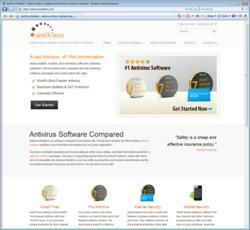 News, updates and other information about Avast antivirus and other tools can be found at AntivirusBulletin.com. The site offers users the latest information on the newest virus threats on the internet and recommendations on the best antivirus software.